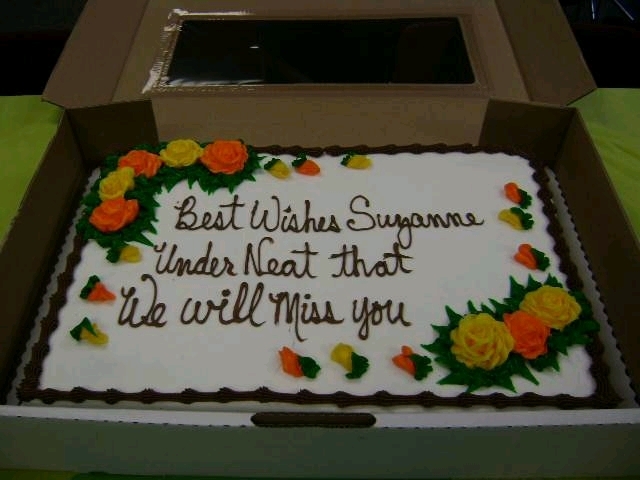 Customer: “Best Wishes Suzanne”, and underneath that, “We will miss you”. Posted on September 30, 2010 by amanda. 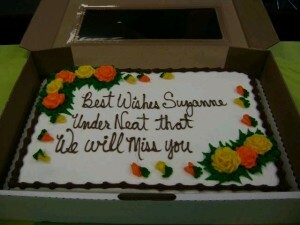 This entry was posted in South Africa and tagged cake, humour, stupidity. Bookmark the permalink. I am trying not to cry with laughter!